The SWM SuperDual T goes up against the Kawasaki Versys 650 and the Suzuki V-Strom 650 XT ABS in India. 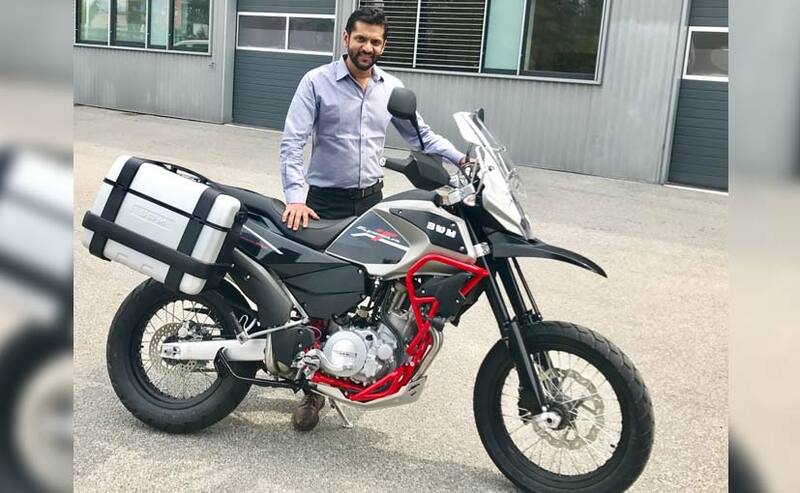 Kinetic MotoRoyale has launched Italian motorcycle company SWM in India and the first bike to be launched under SWM is the SuperDual T range. The SWM SuperDual T base is priced at ₹ 6.80 lakh and the SWM SuperDual T is priced at ₹ 7.30 lakh (all prices ex-showroom, India). 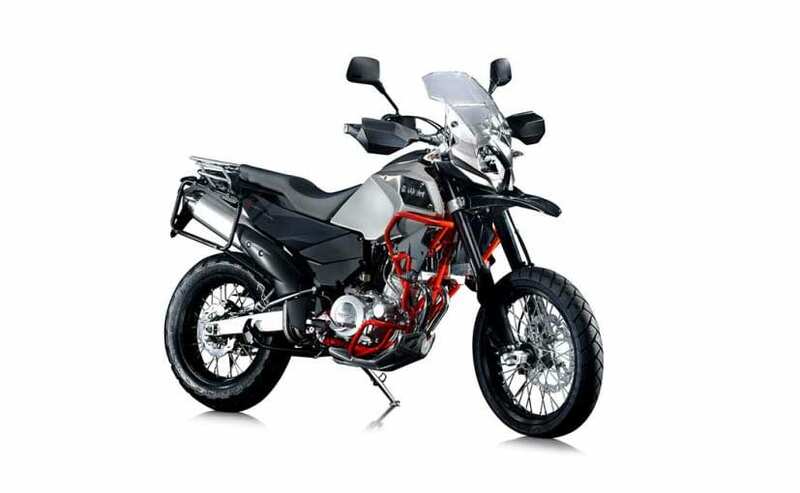 It is a mid-capacity ADV motorcycle which gets a 600 cc single-cylinder engine that makes 56 bhp and 53.5 Nm of peak torque and is paired to a six-speed transmission. The SWM SuperDual T has a tall stance, in typical ADV fashion and gets 45 mm USD forks up front along with a monoshock at the rear. The front suspension is adjustable for rebound and gets a travel of 210 mm while the rear is fully adjustable and has a travel of 270 mm at the rear. There is a 19-inch wheel up front and a 17-inch wheel at the rear. A 300 mm disc is fitted up ahead and a 220 mm disc is fitted on the wheel at the rear and ABS is offered as standard. The bike can hold up to 19 litres of fuel and weighs 169 kg. The seat height on the SWM SuperDual T is 898 mm, which could pose a problem for shorter riders. The SuperDual T gets a few additional bits such as hand-guards, frame for the panniers, engine and sump guard and auxiliary lamps as well when compared to the SuperDual T base. The SWM SuperDual T will have its competition in the Kawasaki Versys 650 which is priced at ₹ 6.69 lakh and the newly launched Suzuki V-Strom 650 XT ABS, priced at ₹ 7.46 lakh. Both motorcycles have parallel-twin engines while the SuperDual gets a single-cylinder unit.